California is facing a housing crisis. Lack of affordable housing stock affects all Californians as well as our state’s economic opportunities. On September 29, 2016, the California Apartment Association, an association representing California residential property owners big and small, brought together legislators, economists, employers, developers, environmentalists and advocacy groups to explore not only the causes of California’s housing crisis, but also real solutions to this critical shortage. The Forum’s goal was to define the problem – a shortage of affordable housing stock in California – and bring together influential stakeholders who can help solve this problem. Some of our panelists had never been in the same room together. But such a critical, complex problem requires imaginative, bold thinking. Compromise will be key to any solution, and starting a conversation, with all sides at the table, is an important beginning. 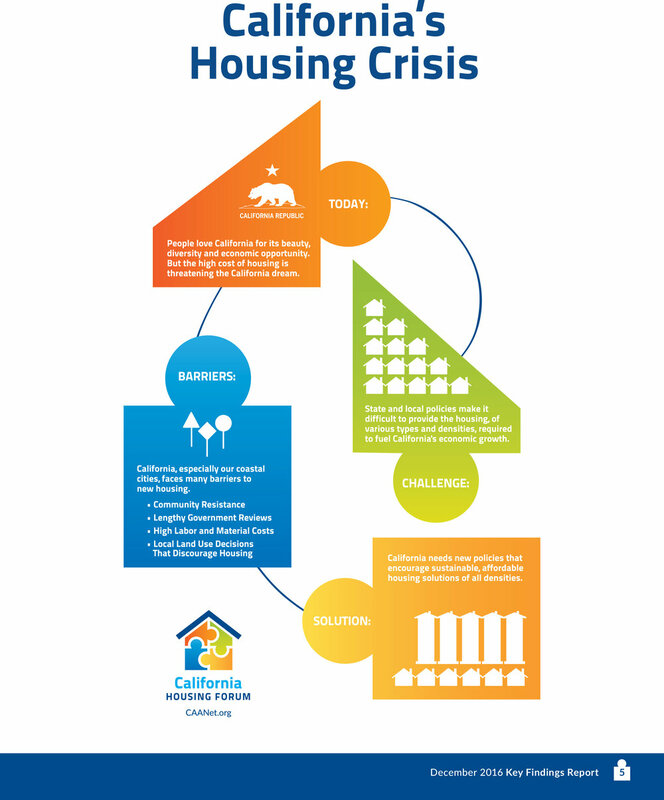 We hope the key findings below will move the conversation forward, bringing us closer to solving California’s housing crisis. Stories about California's outrageous housing prices are told in city halls around the country like ghost stories told around a flickering campfire. And, in California itself, San Francisco has become emblematic of the problem: escalating regulation that chokes housing supply while demand grows. The result is higher prices, and that sparks a demand for regulation including price controls. Of course this results in slower and more costly production and then higher prices. Repeat. I call it the San Francisco Death Spiral, and the disease has spread all over California. The California Apartment Association hosted a forum on the problem in late September (you can download the report here: ca-housing-forum-key-findings-report_final). I attended and was on a panel. What stood out was the nonpartisain corroboration of the problem and the solution by the Legislative Analyst's Office (LAO), and the recognition that environmental laws are being misused to stymie housing production by local communities wanting to stop growth. If nothing changes, Orange County's shortage of housing will drive out workers and drag down the region's robust economy, a local business group warns. 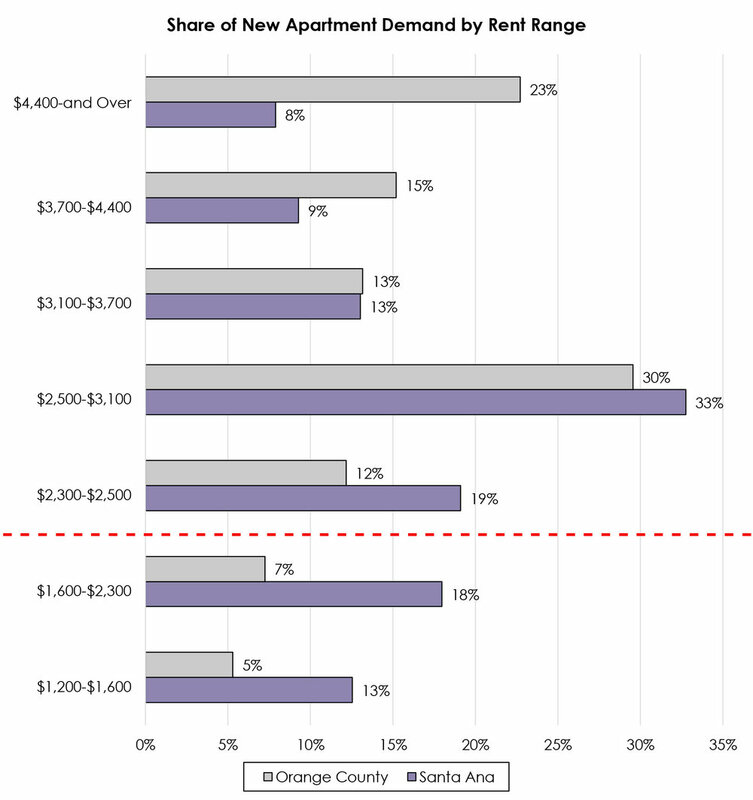 In a report out Tuesday, the Orange County Business Council projects that the county's housing shortfall will deepen sharply unless communities there build more apartments and houses at a greater density. In California, there is a new lobby for renters — market-rate renters. California’s unprecedented housing crisis has ushered a new power player onto the scene with a supply-and-demand message so succinct it could fit on a T-shirt: Build more homes. Meet the YIMBYs, a network of pro-development, tech-funded, ‘Yes-In-My-Backyard’ organizations cropping up throughout the Bay Area and beyond to counter the sentiment against building more homes in existing neighborhoods. Led by millennials, who have been frozen out of the housing market and slammed by California’s skyrocketing rents, the movement has distilled a collection of wonky policies into an urgent problem with a ready solution. The chart on the right indicates that Magnolia at the Park will be A Viable Housing option for 88% of potential renters in Orange County & 69% of renters in Santa Ana.